Sing (trailer) was Illumination Entertainment's second animated film of 2016, released in time for Christmas. With The Secret Life of Pets, the two films earned the studio $1.5 billion worldwide. 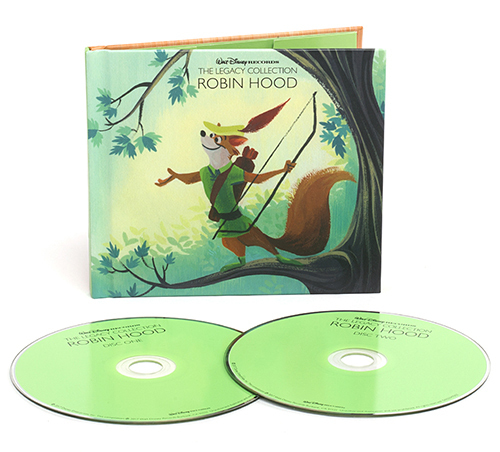 The DVD and Blu-ray came out in late March of 2017. It's a straightforward comedy with light story arcs and anthropomorphic animals, in which a koala named Buster Moon organizes a singing competition to save his financially-failing theater. By mistake, the publicity leaflets say the prize money is $100,000 instead of $1,000. For the rest of the film, things gradually spiral out of control, as he selects and deals with the five acts who will eventually take the stage at the end. I enjoyed it! Although it didn't perform as well as The Secret Life of Pets at the box office, I liked it more. Partially because of the wider range of species - plus it didn't plug the Minions franchise as much - but mostly because it felt fun, didn't get bogged down in itself, and I liked the music. This movie had just the worst timing. Is it fair to review a movie that came out half a year ago now, just because I was Making A Point about … something or other … when that half a year ago came and went? I don’t know, but if the review had come out then, it would have been a thumbs up. Now, this is a negative review, by the way. 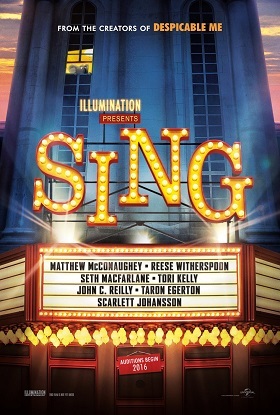 Sing’s well out of the theaters and available to rent or own, and it’s nominated for an Ursa Major award. Maybe it’ll win it, for all we know. Everybody could have just gotten tired of the at this point assumed and basically all but destined winner; of course, 2016 was not a great year for presumed and basically all but destined winners. If you voted for Sing, however, I don’t blame you; it’s still okay. There is a difference between a pan and savaging, and, honestly, this barely rates pan. I used to like it, after all. Still kind of do. Just not as much anymore. Part of the reason for this downturn in my affections is due to another movie; yes, there’s an elephant in the room we’re going to need to talk about, and I’m obviously not talking about the characters in the movie. 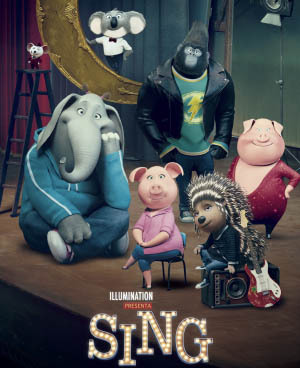 Actually, there are a lot of elephants I’m planning on discussing, but set that aside right now because, when I rented Sing recently and rewatched it, I realized I liked Rock Dog better. So, there’s that. The movie? No, not the movie itself, but my review of it. To people who are only reading this review to get to my thoughts on the movie, I suggest skipping my little prologue. For those that would like some context, then read on. Rock Dog has been on my radar for well over a year, potentially two years, though it's kind of hard to pin down the exact date. I saw the original trailer when it leaked at around the end of 2015 and was immediately interested. The film was directed by Ash Brannon, a co-director of Toy Story 2 and the underrated masterpiece that is Surf's Up. I grew up with the latter film and was curious of this new project since Ash hasn't done a ton in the animation field since 2007. I was so hyped for the film that I felt that it would surpass Zootopia. This belief had caused debates with many of the avid fans the film had garnered in the fandom. While my stance has softened on the Disney film, I still stand by some of the grievances I had with it. That being said I have decided that despite my desire to compare the two films, I decided to purely look at Rock Dog as it's own film and judge it on its own merits. The first time I was introduced to NIIC was on Flayrah. I think it was during the time we were discussing definitions of furry. 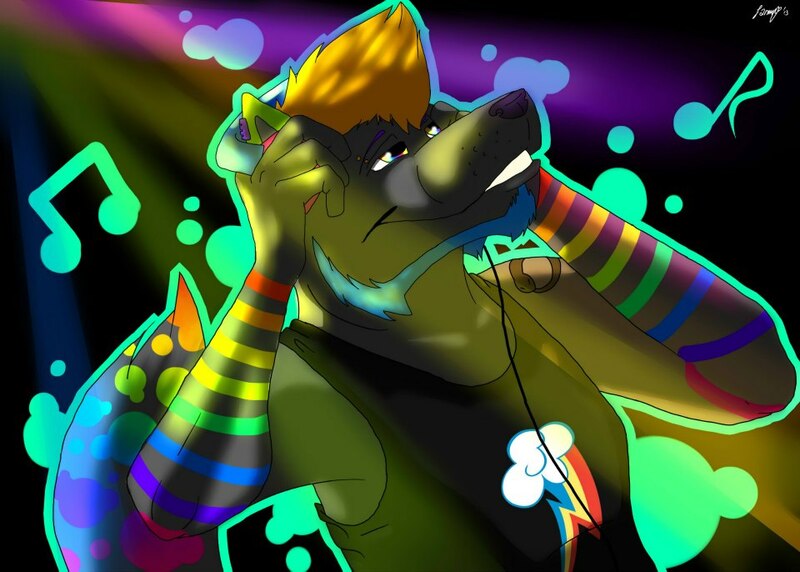 Someone linked to an interview, republished on Flayrah, where NIIC shared his definition of furry music; one I referred to in my own article on the subject. However, I still didn't really listen to his music until someone linked me to "Paws To The Wall (Fursona version)." 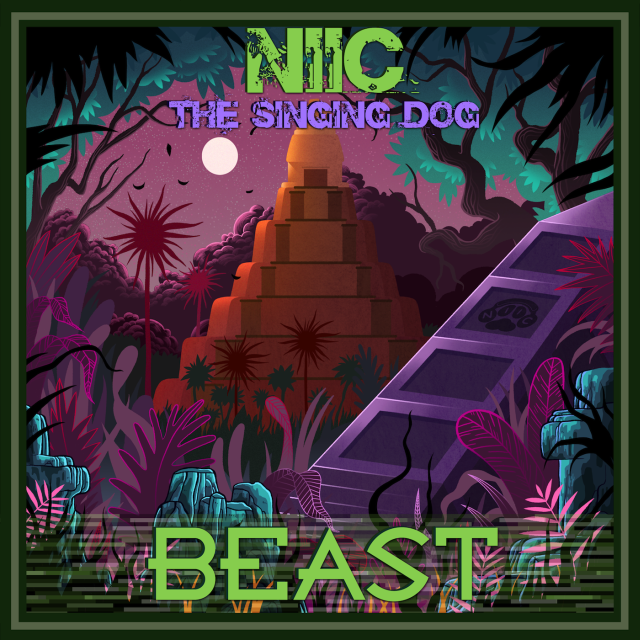 Moving forward a few months, I looked for more of NIIC's work and found his newest album, Beast, released last month, available on Soundcloud. I decided to give it a listen, ripped everything out of the cloud and started listening to it at work. I quickly found that I was really enjoying it and decided to buy the album and help support him. Well, I ended up buying all of his CDs at once, but it does give me the perfect opportunity for a review! 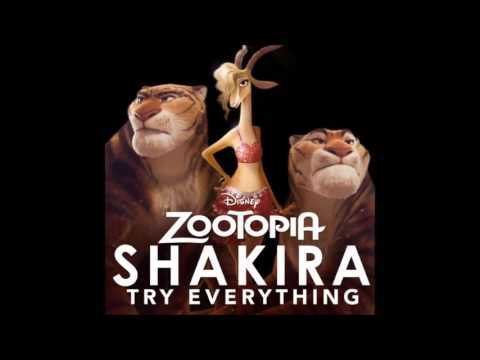 The much anticipated 'Try Everything' from Disney's upcoming Zootopia has been released in full on Shakira's Vevo. As one can see from the comments, people are pretty excited for this song. The single is written by Sia Furler, and definitely sounds like it. Zootopia is coming out soon; so enjoy this song while you wait! It's too bad they went for a self esteem anthem for this song. With such a wide premise and world they built for Zootopia with all the rich environments and backgrounds, it's too bad we don't hear her name drop animals or anything in the song once. I think it's a big opportunity missed, maybe that's just me. This music video, for the band Coldplay's "Adventure of a Lifetime", may be of some interest. It was filmed at the Imaginarium, the digital motion capture studio set up by Andy Serkis and Jonathan Cavendish in London. Is this the first of many realistic anthropomorphic mo-cap music videos that we can see in the future? EZ Wolf releases fursuit advert "Stay as You Are"
An advert for EZ Cooldown cooling vests for suiting peformers was released by EZ Wolf. The scolling shot features many fursuiters performing a wide variety of wacky tasks slowed down dramatically while the accompanying music by Fox Amoore and Pepper Coyote of Look Left encourages the audience to "Stay as You Are". EZ Wolf is well known for his works in furry cinemtography, including the "infamous" Room 366 video which caused controversy in the fandom when it was leaked back in 2011. If you look hard enough, you may find an Easter egg referencing that particular video towards the end. Anthrocon is exceptionally supportive of furry music. The following performances – by Amadhia, Bucktown Tiger, Fox Amoore, "Bandthro", Matthew Ebel, Pepper Coyote and Rhubarb & Cosmik – can be seen at this year's event, running July 9–12 in Pittsburgh, PA. The furry fandom is, by-and-large, a visual fandom. Internally, we elevate visual art to the point where sites like Fur Affinity and SoFurry are often referred to as "art sites", despite hosting various kinds of content. Similarly, outside attention on the fandom has tended to exaggerate fursuiting, another highly visual aspect of the fandom. This focus on visual aspects is quantified in The State Of The Fandom 2008. Although this is far from the most recent set of results available from the Furry Survey it is the most complete report on the results. It shows that approximately 90% of furries consider artwork, 59% consider writing and only 23% consider music to be important to the furry fandom. In addition, 36% said that music was unimportant to the fandom, compared to 7% and 6% for writing and art respectively.